Sculptures of a large flail of Tutankhamun and a copper Heqa crook on display at the exhibition. 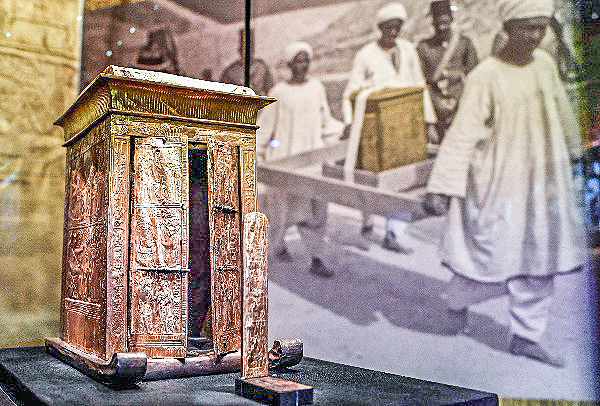 The exhibition dedicated to the famous Pharaoh Tutankhamun, with 150 original objects collected from his tomb, takes place in the Grande Halle de La Villette in Paris from March 23 to September 15. 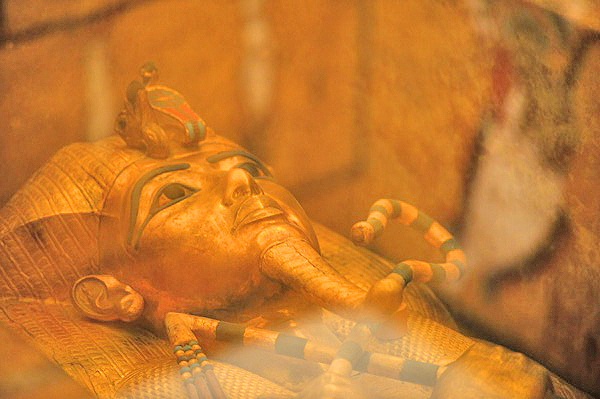 A sculpture depicting Tutankhamun is displayed during the exhibition ‘Tutankhamun,Treasures of the Golden Pharaoh’. Although organisers insisted that the contents of the show are priceless, they have been insured for more than US$800 million. 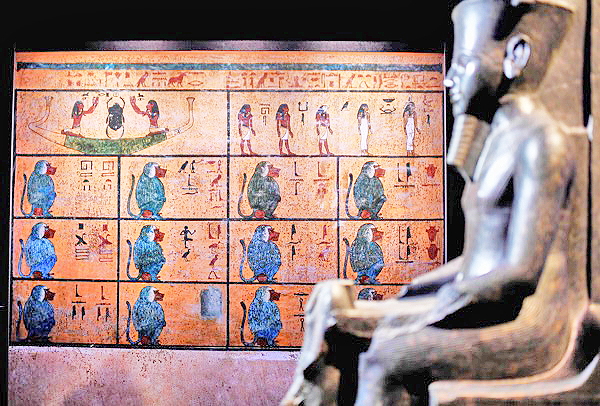 One million expected at blockbuster Paris Tutankhamun show 0 out of 5 based on 0 ratings. 0 user reviews.